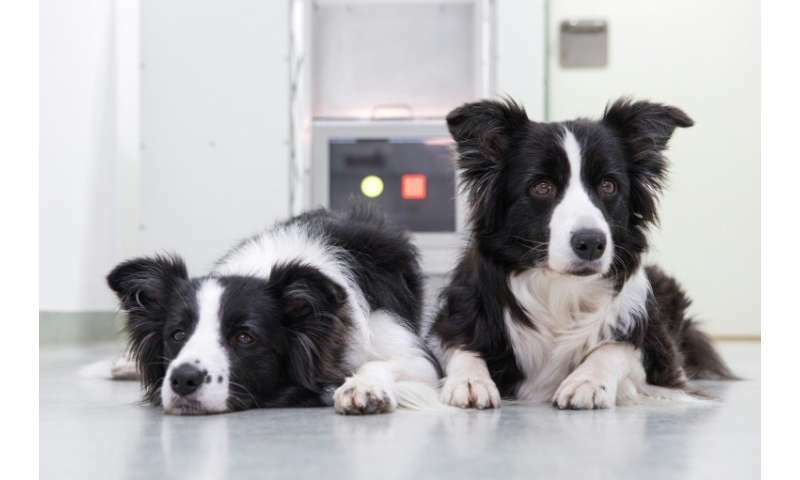 At first sight, enthusiastic Border Collies Miley and Tiara may not appear to be providing insights into the deeper workings of the canine mind. Even while demonstrating an experiment used in a recent study at Vienna's University of Veterinary Medicine, they're having too much fun. It involves them running to a touchscreen with one round and one square shape. Every time they hit the round shape with their noses, they're rewarded with a treat. The results gathered after hundreds of dogs took part in the study suggest that older dogs benefit from similar games, just as Sudoku and other brain exercises can help their owners stay mentally agile. "Sometimes with older dogs we might feel that we can just let them retire to the couch and let them sleep all day and that's fine," Lisa Wallis, one of the authors of the report, told AFP. "But you're not really doing them a kindness," she said. Even if owners keep giving their dogs physical exercise, this won't improve their mental agility, says Professor Ludwig Huber, one of the lead authors. "The brain needs more stimulation and also problems to solve," he says. In contrast to most toys which can soon become repetitive, Huber says a touchscreen can be used to present an "unlimited number of stimuli" and the games could get gradually more complex. Other games used in the study involved having to touch a moving shape or being trained to distinguish between "good" and "bad" images and then choose them accordingly. The younger dogs and dogs who were already used to playing similar games fared best but even with the older dogs, performance improved with practice. The results follow a study conducted among humans last year in the United States that suggested older participants who regularly played computer brain games may have cut their chances of dementia, although experts cautioned further research was necessary in that case. The authors of the Vienna study admit that although the dogs and their owners appeared to have enjoyed taking part in the study, it would be difficult to replicate at home. Wallis says that short of installing a similar screen at home - as she has done for her own dogs - or at vet's surgeries and dog daycare centres, the need of the hour is for new technologies. The team at the university is working on software that could be used more commonly, ideally paired with tablets or other devices adapted for dogs. "Wet noses will always be a problem," Wallis admits. 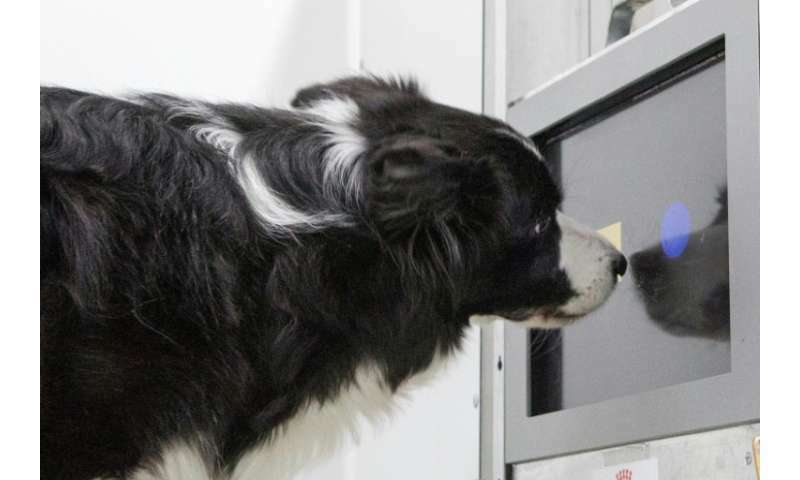 But even if touchscreens for dogs are a little way off, Huber says using touchscreens with different species could open up a whole new vista for scientists and researchers. "It can also be used with wolves, which is a very important one in scientific terms." The fact that species with different levels of dexterity can use the equipment means a very similar apparatus can even be used with reptiles and even birds, which touch the screens with their beaks, he adds. Ball or stuffed toy—do dogs 'know' what they're smelling? Explaining coprophagy – why do dogs eat their own poo?